It's been 10 years in the making, and Hungry Bear Publishing publisher Andy Flynn is pleased to announce that the Hohmeyer family's "Common Roots Cookbook" is finally printed. 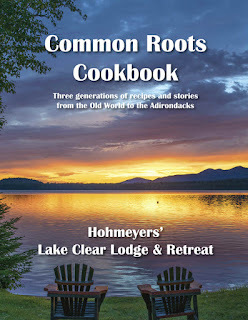 "Congratulations to Cathy and Ernie Hohmeyer at the Lake Clear Lodge & Retreat for putting together such a fascinating cookbook," Flynn said. "This book has much more than recipes. 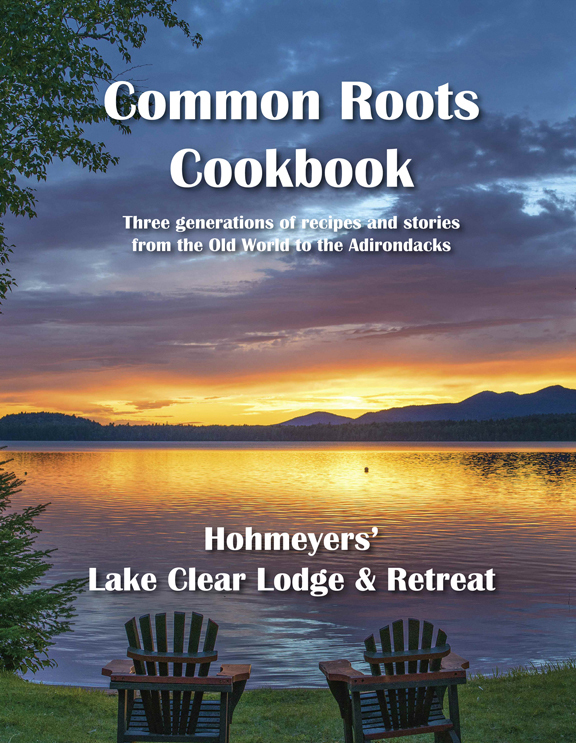 There are cooking tips, stories and poems from the Hohmeyer family, beer and wine pairings, photos from the Lodge property and family members and history of this unique place in the Adirondack Park." The book is a family project. 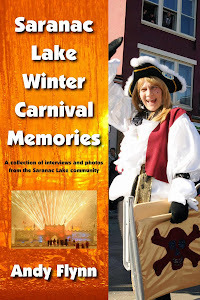 While Ernest and Cathy – the chef – are the main authors, stories and poems were written by Ernest’s parents, sisters Cornelia (Hohmeyer) Tiemann and Grita (Hohmeyer) Schneck, and daughter Gretchen while some of the photography – including a Lake Clear sunset on the cover -- was taken by their son Yurgen. At 144 pages, the book retails for $19.95. Purchase here. 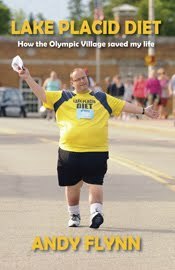 A book-signing and tasting event will be held from 3 to 5 p.m. Saturday, Jan. 21 at the Lake Clear Lodge & Retreat. For more information, contact Ernest and Cathy Hohmeyer at 518-891-1489 or visit online at http://lodgeonlakeclear.com.